Before I start with the actual review, I would like share my initial thought when reading the title of this book: What?! Exactly, the title is “The Yonahlossee Riding Camp For Girls: A Novel”. Seriously? Yes, I am completely and utterly serious. Anton Beatrice DiSclafani published her debut novel in 2013 and because of a fortunate meeting at the local bookstore, I was given this book a month ago. As you can imagine, I was very much confused by the title. Why? 3.) It says “A Novel”, like that was not already crystal clear. But despite this very confusing title, I was intrigued to read this book and I was proved right. I did not think I would, but I really enjoyed reading DiSclafani’s debut novel. It is nice to read, with an interesting main character, a bitter-sweet love story and a fascinating setting. “The Yonahlossee Riding Camp For Girls” is about Thea Atwell, who is sent away to an elite boarding school at the age of 15. The reasons of her being sent away are very mysterious and thereby intriguing. As a reader, you know that Thea did something wrong and you kind of get the feeling that it had something to do with a boy – but you get the whole story in fragments, scattered across the plot. This particular structure, the alternation between fragments from the past and the present, makes the book so interesting and a treat to read. Piece by piece you unravel Thea’s secret and you start to understand her character and her motives. Thea Atwell is interesting, because she is both the kind of person that you can easily relate to and the kind of person that you would like to be. She is fierce and passionate, but is also selfish and mean sometimes. Before Thea was sent away to boarding school, she lived with her twin brother and her parents in the country side. She grew up very isolated, with her brother being her best friend and only her family and her horse to talk to. As the title suggests, this book is also about horses. Thea rides her pony Sasi every day, except when her cousin Georgie drops by for a visit. In the flashbacks to this sunny past, Thea is a quiet, but strong-willed young girl, but in the present she learns to out this strong-willness. DiSclafani’s writing is good. It is not going to move mountains, but it is very constant throughout the book and the author gives her main character a strong and relatable voice. 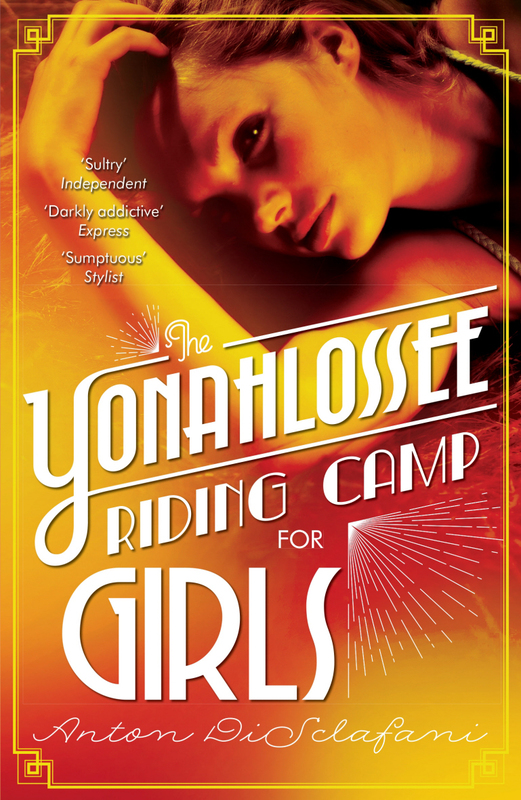 “The YonahLossee Riding Camp For Girls” is nice to read, because it offers a beautiful and simple escape. The book is not difficult to read, in fact I found it very easy, and thus makes for a good story to curl up with. Also, DiSclafani did a great job on the fragmental structure of the book. Then, the romance-part of the book. I found the romantic plot a bit transparent. From the moment Thea arrives at Yonahlossee, a certain character is described in such a detailed way that you already know that Thea is going to start something with this character – and she does. Despite of the transparence I really liked the romance in “The YonahLossee Riding Camp For Girls”. Thea’s relationship with a man (whose name I am not going to write down to keep this review spoiler-free) is very realistic and exciting. Their affair is forbidden and ends exactly like you know it is going to end, but because it is so realistic you do not want it to end. Despite the very confusing title, I very much enjoyed DiSclafani’s debut novel. “The YonahLossee Riding Camp For Girls” is a joy to read, but nothing more than that.